Devoran Village Hall TR3 6PW Melodeon Group; alt Tues/Weds. www.devoranvh@live.co.uk. Wednesday Roseland Inn, Philleigh TR2 5NB Monthly Weds. from 7.30pm. Greg Williams 01326 270379. St. Austell Arts Centre PL25 5HJ Acoustic Music session. Weds. from 8.30pm. Anne Phillips 07810 643897. Friday The Institute, Narstallon Acoustic Music session £1. 1st Fridays Oct - May from 8pm. Mark Walters 01208 831875. 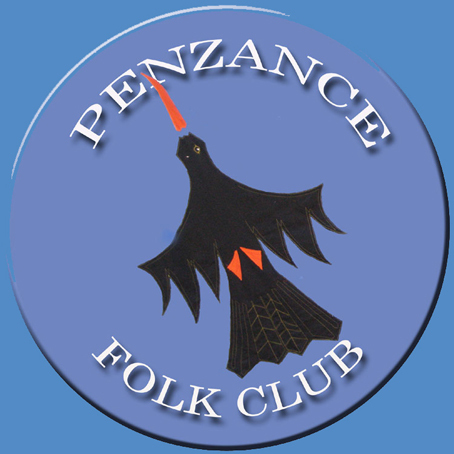 Sunday Falcon, Bude, EX23 8SD Some Sundays from 7.30pm. Debbie Merritt 01409 254144. Cadgwith Inn, TR12 7JX Music & song. 1st Sundays from 2.30pm. Dave Hearn 01326 563063. High Crackington Institute Monthly Sundays. Kevin Johnson 01840 230792. 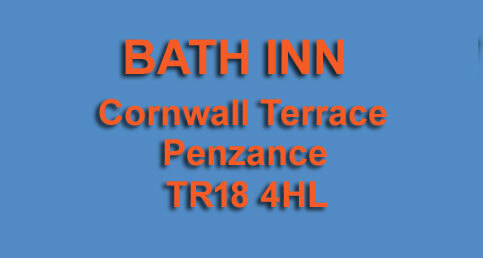 Old Albion Inn, Crantock TR8 5RE Informal Sing & Play, Last Sundays from 8pm. Peter Brand 07889 282030. Westward Inn, Lee Mill PL21 9EE Folk on the Moor. Sundays from7.45pm. Anton Horwich 01822 853620. Cornish Ticket Agency... Contact them for tickets for our Guest Nights. please help us to keep abreast of events in the area by letting us know what else is going on.